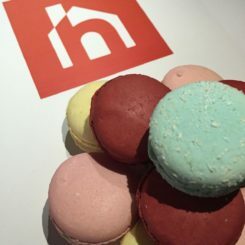 Best Of Happy 9th Birthday Homedit! 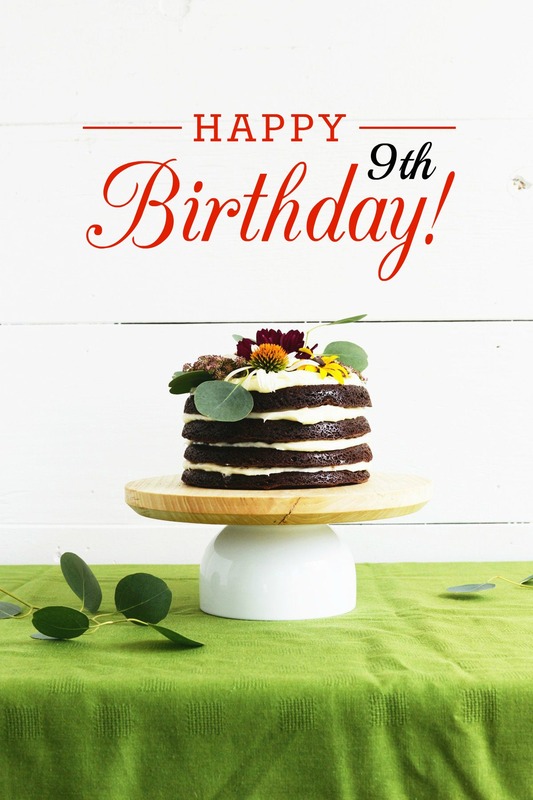 It’s a very happy 9th anniversary here at Homedit. We’ve logged another great year with some wildly popular posts that helped our millions of readers discover, create and learn. As we get closer to an entire decade of covering design, architecture and DIY projects, we are reflecting on a very busy year. We traveled to fairs across the globe, brought you all kinds of DIY projects, gave you a peek into some amazing homes and apartments, and created fun new video tutorials. Plain and simple, we love what we do and thrive on finding inspiration for your home design and decor projects. Your awesome response to our work is definitely the icing on our cake! Finding fresh news idea for you is the name of the game and we covered more global design fairs this year than ever. From Milan to Miami and everywhere in between, we scoped out inspiration in the form of the latest design trends, examples of hand-crafted innovations and all sorts of decorating ideas. The stories we bring you are crafted to fuel creativity, whether you are building a house, redoing a bedroom, or simply freshening up your decor. Art is one of the easiest ways to enliven a living space and Art Basel in Miami was a fantastic place to find a wide range of art to inspire. While it is known for cutting edge artworks — along with stratospheric prices — Art Basel is fertile ground for discovering what types of art appeal to you and how they can play a role in your decor. Curious art lovers stroll the aisles along with high-end collectors, all looking for pieces that speak to them in some way. It’s a wonderful way to experience different genres of art, including sculptural art ideas. 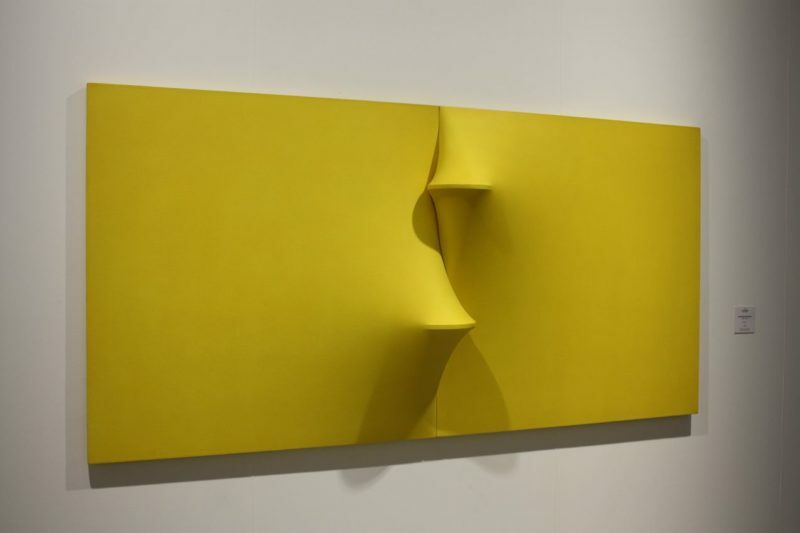 London’s Mazzoleni Gallery showed this piece by which achieves dimension using protrusions, shadow and light. IMM Cologne is one of the world’s most important fairs for furniture and it was held in parallel with another great fair, LivingKitchen. 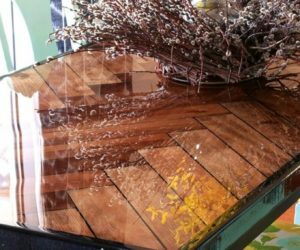 We hit the highlights at both shows and rounded up our favorites in living room furniture, the latest innovations in cabinets and tables, new lighting and bedroom designs, along with office trends and more. IMM always has plenty to feed your need for design inspiration and 2017’s edition certainly did not disappoint. The desert hues of this Nubilo sofa and armchair are two eye-catching. Another important early-season fair is Canada’s premiere design show, The International Design Show Toronto. We love this fair not only for its presentation of new technologies, flooring and furnishings, but also for the space it devotes to new designers and highly creative small ventures, like Aratani Fay’s wild chair, pictured below. We also discovered amazing designer area rugs along with new bathroom trends, including some really handsome freestanding bathtubs. 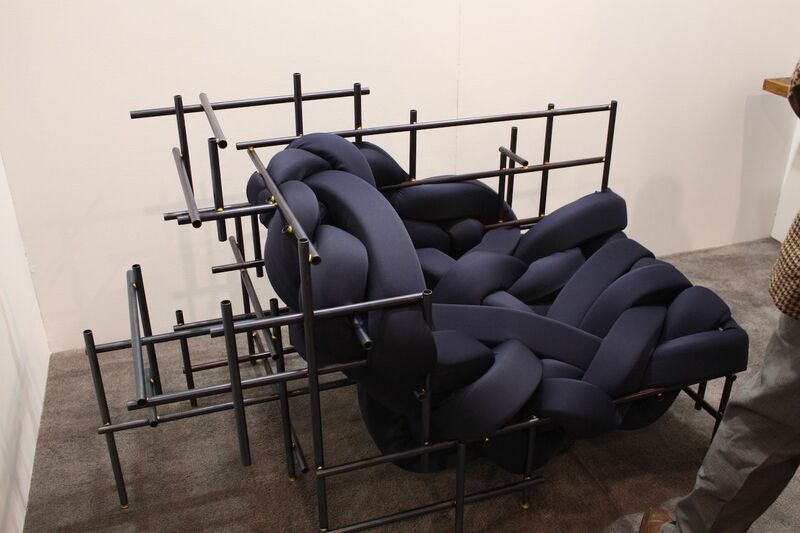 Aratani Fay’s chair combines a welded frame structure with a wildly woven foam seat. 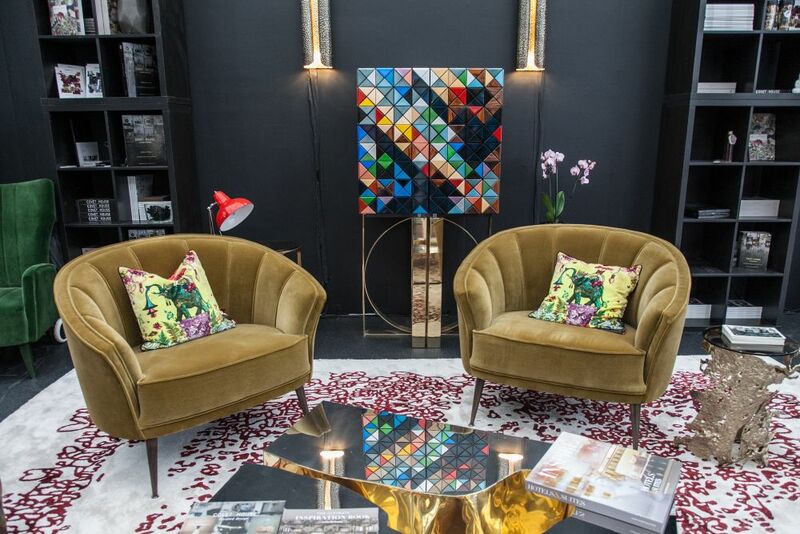 Fun furnishings and bold accessories are a must for any home and we found plenty of both at NYNOW. 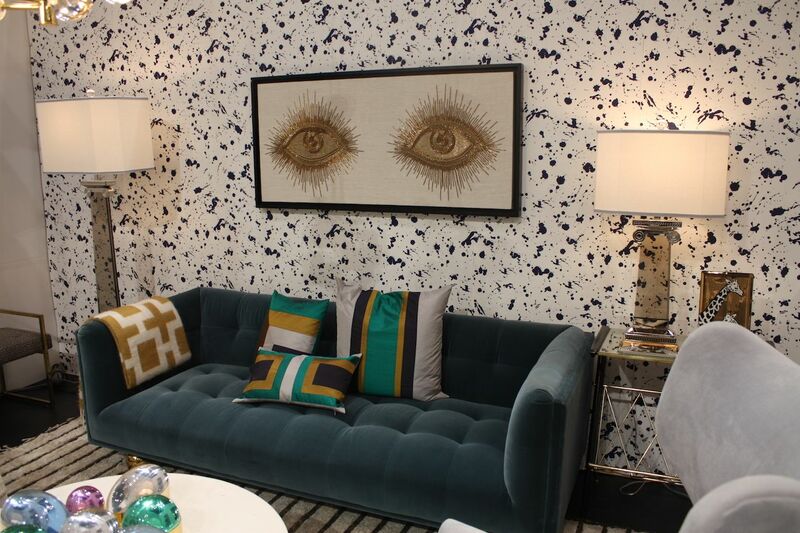 Jonathan Adler’s booth is representative because it is always colorful, full of fun and inspiring pieces. Some are tongue-in-cheek statements while others are fresh takes on classic designs. The whole show is creative and dynamic — one of our favorites. 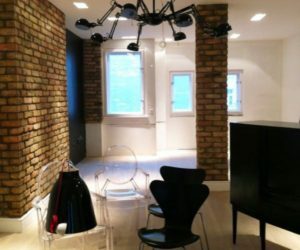 Luxury furniture works well with quirky art and accessories. 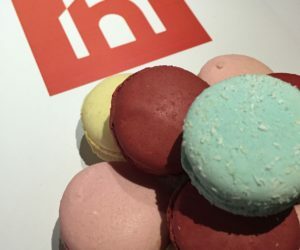 This fair, c’est chic! Maison Objet is a lifestyle show that, true to its name, features an extraordinarily diverse range of objects for the home: everything from design, furniture, decor to accessories, textiles and tableware. While it’s especially hard to pick favorites in Paris, this Antonio Lupi sink was definitely one of the highlights. 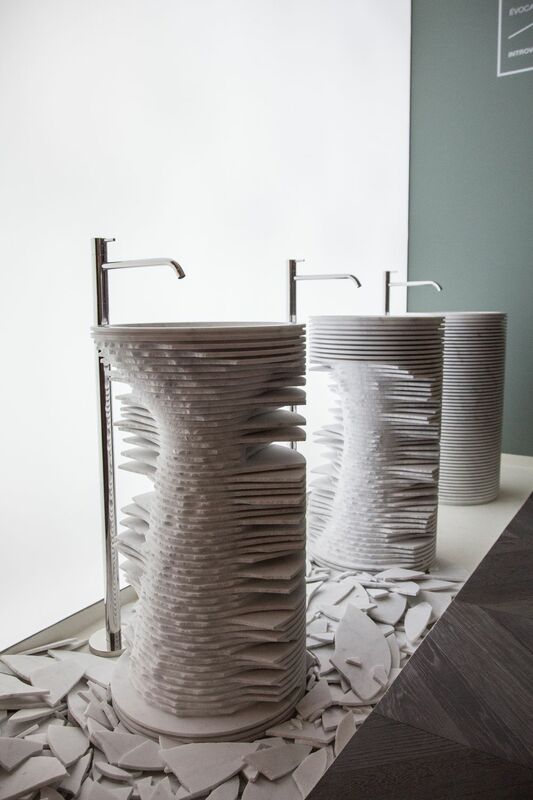 The Introverso sink — a sculpture really — was designed by Paolo Ulian for Antonio Lupi. In April, we joined the rest of the design world and converged on Milan for the global granddaddy of design fairs, Salone del Mobile. 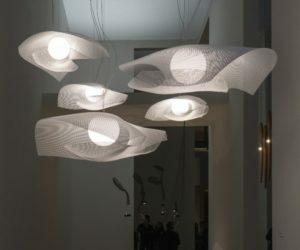 The highlight of Milan’s design week focused on “Euroluce,” which featured the latest in lighting fixtures and technological innovations and had something for everyone, from over-the-top Murano glass chandeliers to minimalist modern lighting fixtures. 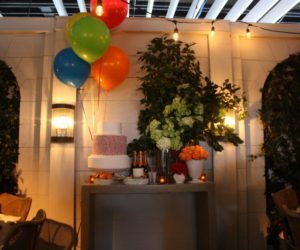 Of course, there was also the full range of furniture offerings that had us wildly excited about the decor possibilities. 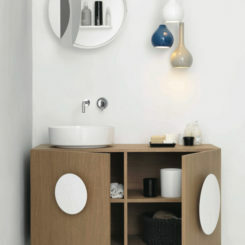 Boffi’s Recherche Collection has a seriously avant-garde design twist and was designed by Ferruccio Laviani. New York City has turned design week into design month, and an amazing slate of art and design events has mushroomed on the calendar for May. ICFF is a must see and this year we explored quite an range of pieces for the home, from serious to seriously playful. This year’s edition featured an astounding array of lighting fixtures. 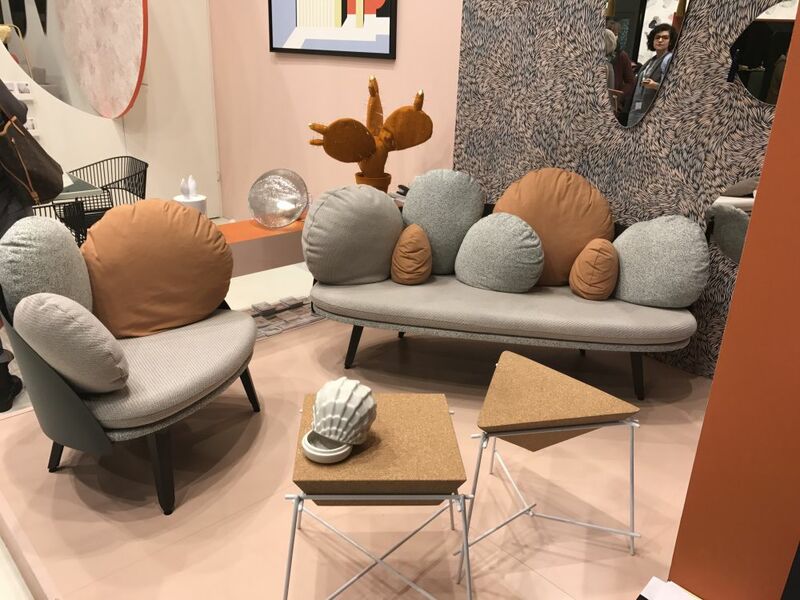 In addition to ICFF, and rather new on schedule, was Collective Design, and it turned out to be a marvelous exhibition of both design masters and emerging artists. We also had the chance to show you some very cool art from the Art New York and Context fairs. Brooklyn has become a mecca for design businesses, many of which are featured at Brooklyn Design, which we scoped out as well. 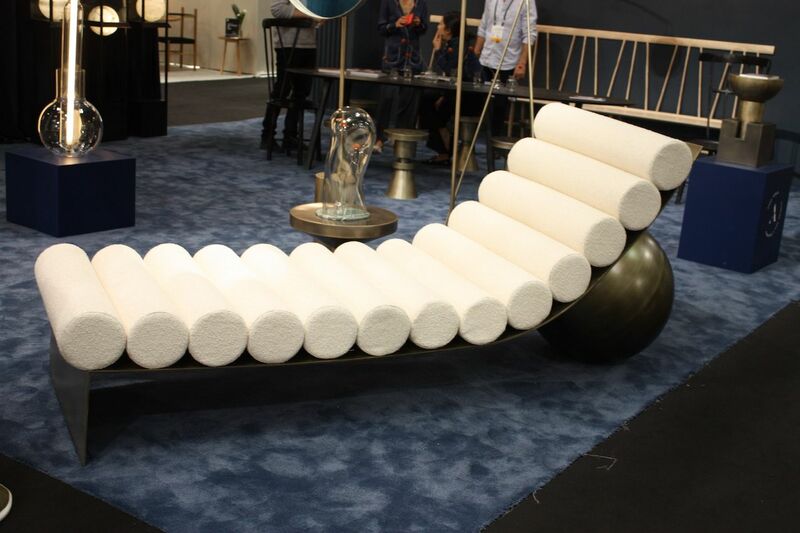 New York designer Anna Karlin’s Curved Chaise. 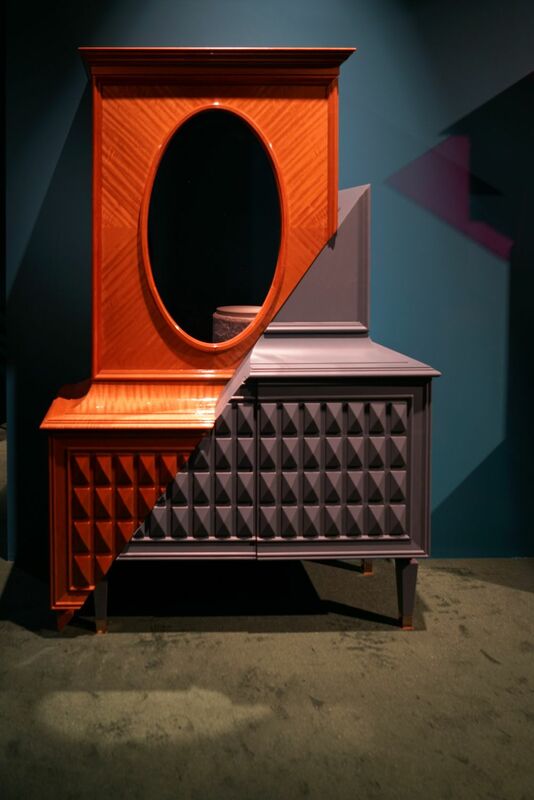 Over the summer we headed to the Las Vegas Furniture Market, where furniture and decor designers and manufacturers presented new designs and popular favorites. We found lots of modern new sofas, unique home decor pieces, an especially wide array of rustic home accessories this year. 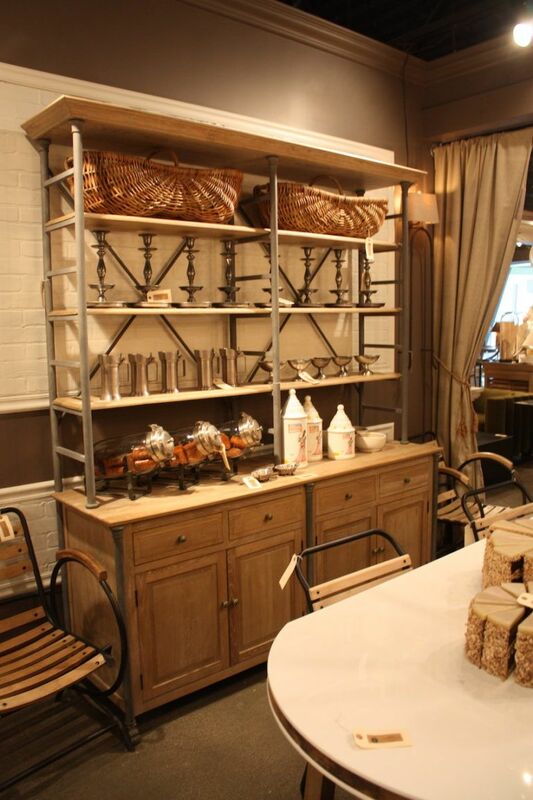 Among the really appealing rustic buffets and shelving units was this one from Bobo Intriguing Objects. Next we moved to London for the London Design Festival, which takes place over nine days and is highlighted by 100% Design and Decorex. 100 % Design, is the largest event during the festival and the UK’s largest design trade show. It featured 400 global exhibitors including emerging brands and global mainstays focused on creativity and craftsmanship. 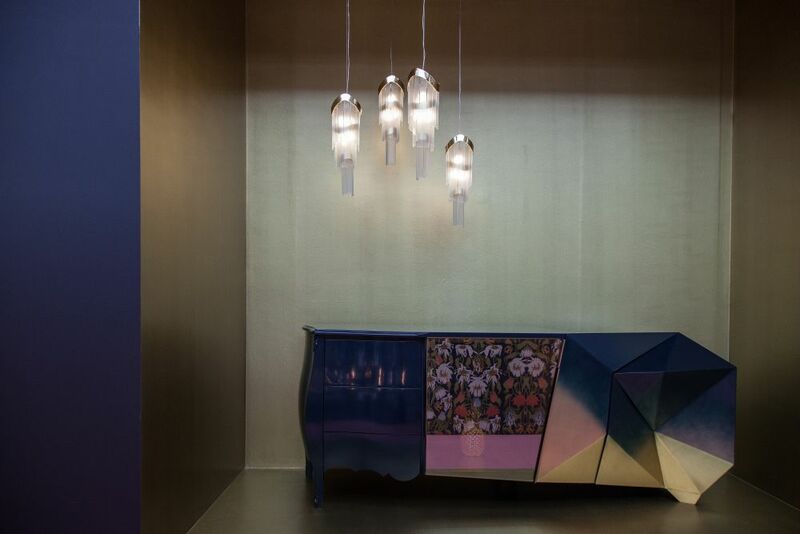 We also checked out Decorex 2017 which focused on some of the world’s best high-end design. 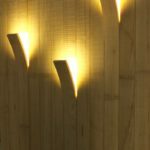 Brabbu’s hammered brass Vellum wall lights go well with the Pixel cabinet. Homedit returned to Italy in September for the world’s largest show dedicated to bathrooms, CERSAIE 2017. 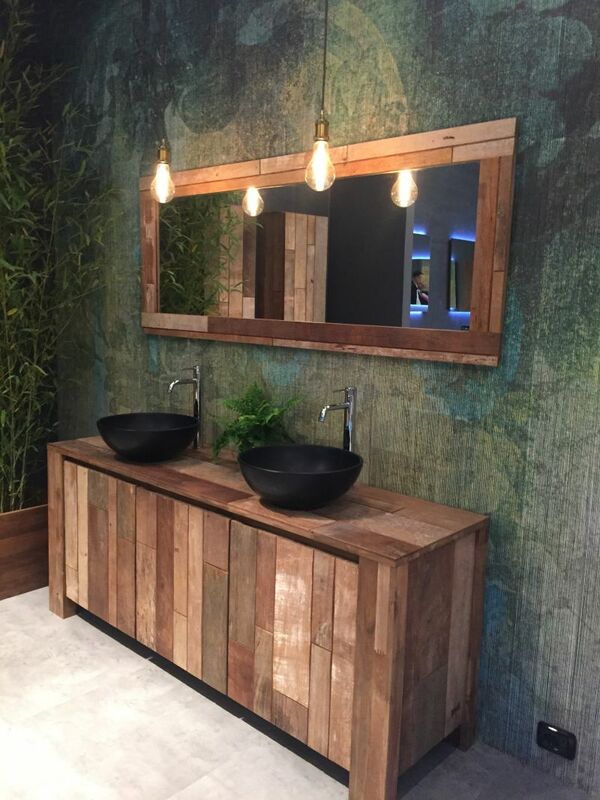 Held in Bologna, Italy, it was dedicated to the most innovative products and latest bathroom trends: everything from wall-covering products to bathroom furnishings. The tiles were especially awesome! 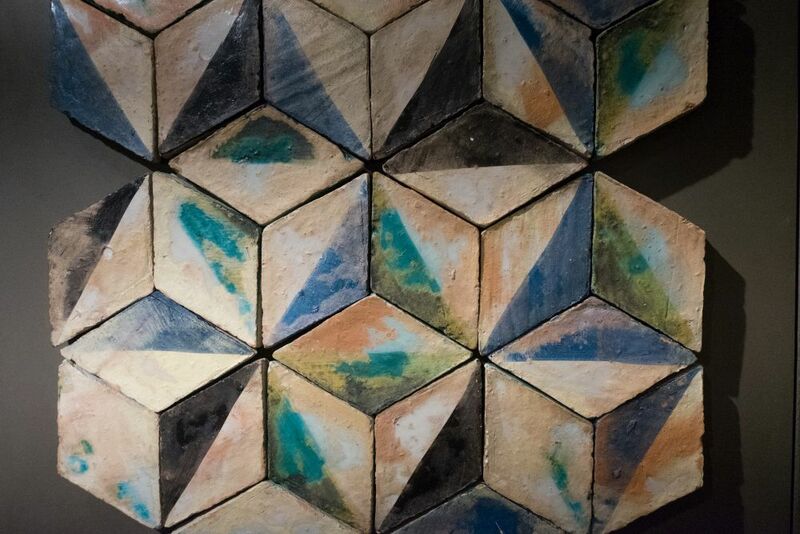 Cotto Etrusco’s geometric tile put the focus on ancient techniques, with natural clay that is hand-crafted. While we love bringing you all the high-end inspiration we can, we know that many of you like to roll up your sleeves and do it yourselves. 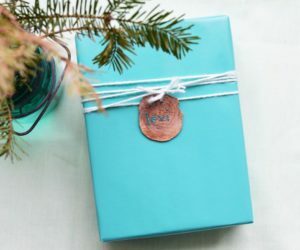 DIY is a red hot area of our website, and this year we added all kinds of projects you can make in your own home. 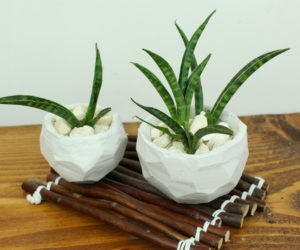 Whether you’re handy with a hammer and drill, or if hot glue is the extent of your woodworking expertise, there are plenty of projects that you can create to complement your decor or amp up your home organization. If you have tools and know your way around a basic woodshop, it’s easy to craft some chunky floating shelves for your bathroom. This intermediate project would work in any room. 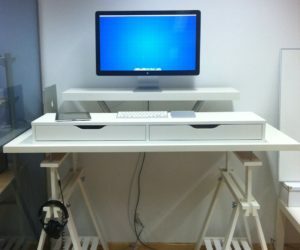 Simple tutorials we posted show how to make your own furniture, such as this desk that has sleek and chic hairpin legs. 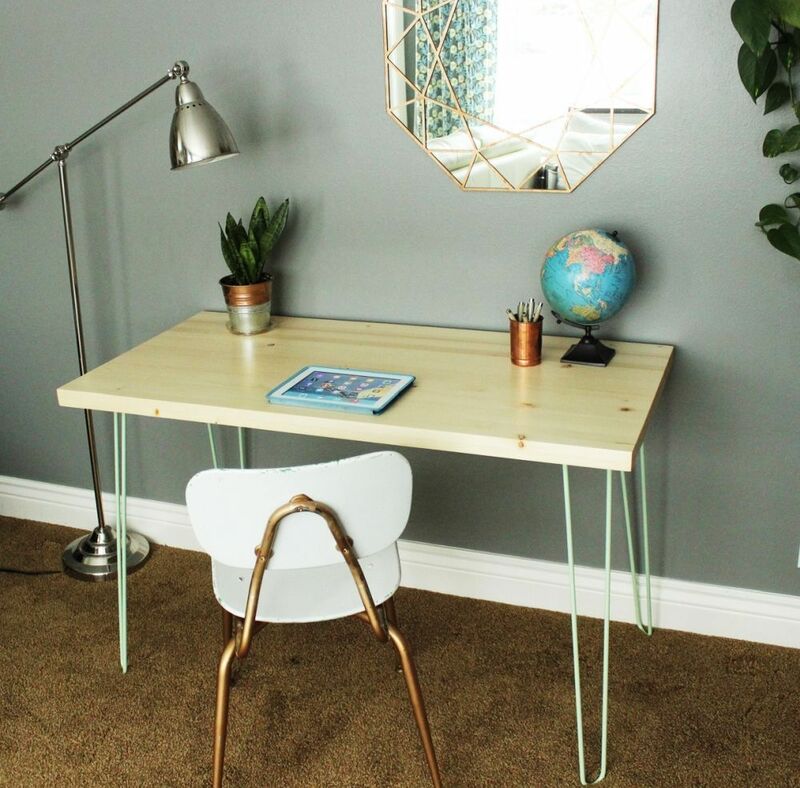 These stylish supports come in all colors and sizes in powder-coated metal and they can help you create a stylish desk that you’ll use for years. 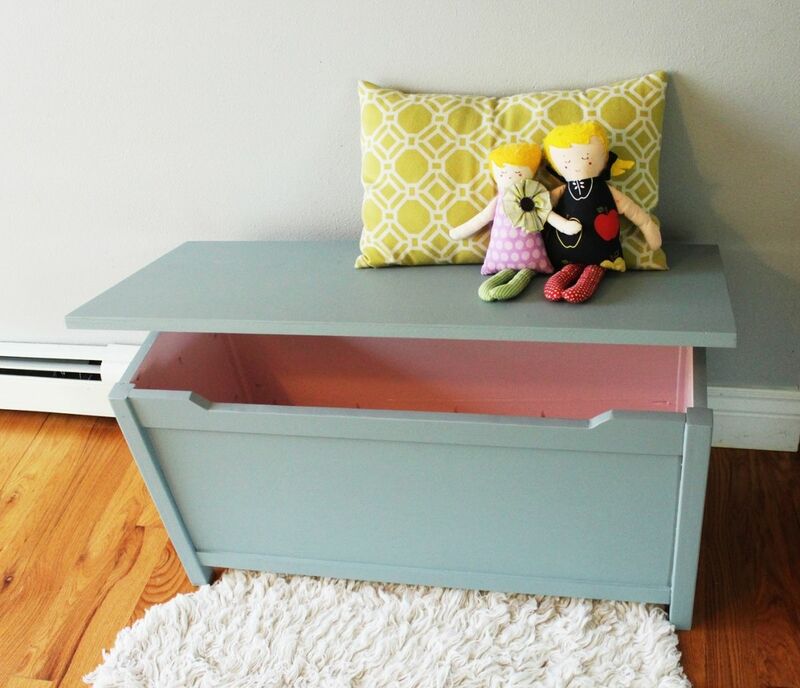 For those who have more carpentry skills, projects like this DIY wooden toy box are a little more involved but can solve some real storage dilemmas for families with children. This stylish construction project is both classic and modern and will be a gorgeous addition to a family room for storing favorite toys. The mint green legs are fresh and stylish. The top of the box can be used as a play bench. Sometimes ready-made furniture just won’t do because of size or design, and if you have some carpentry skills, you can make your own. 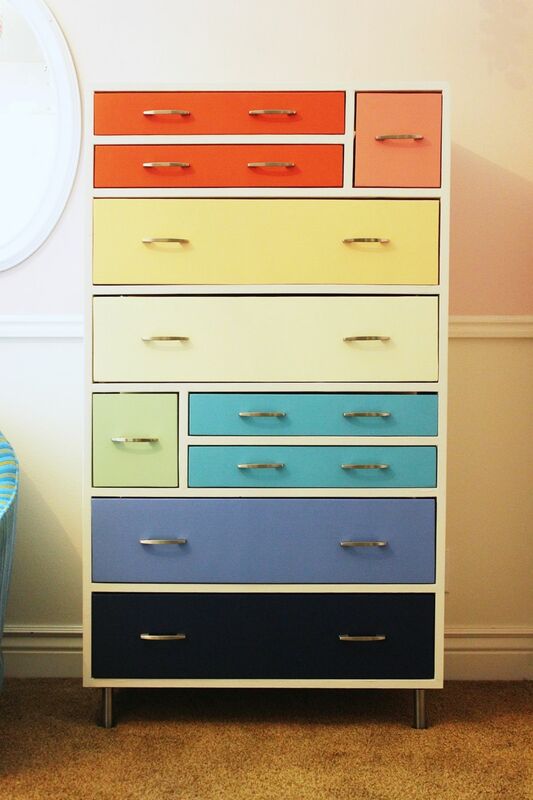 We showed you how to DIY this amazing rainbow wooden dresser that features nifty drawers of different widths and depths. 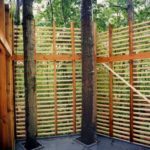 It’s an intermediate to advanced project, but with the basic tools and perseverance, you can have something truly custom. The drawer sizes make this piece extra special. 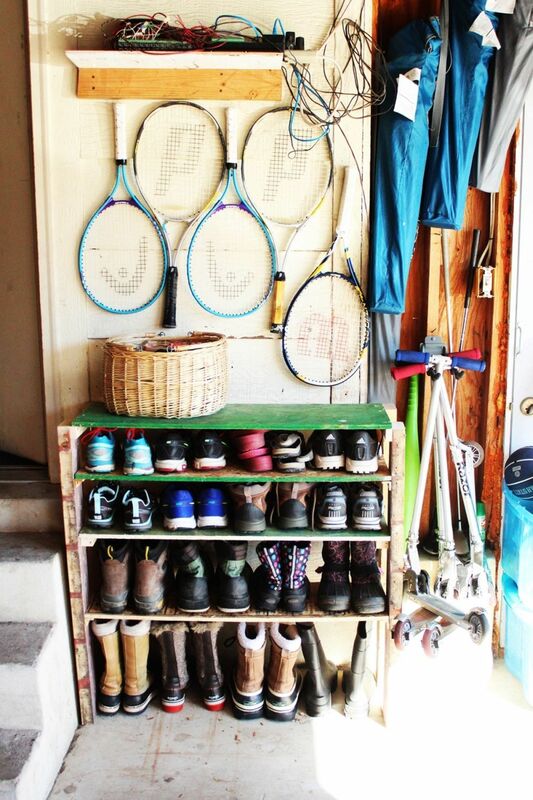 Just about every family has challenges finding enough storage space, especially for shoes. They can be one of the hardest items to corral in an organized way, so we pulled together a project for shoe storage shelves that you can customize to fit the size of your family’s collection. 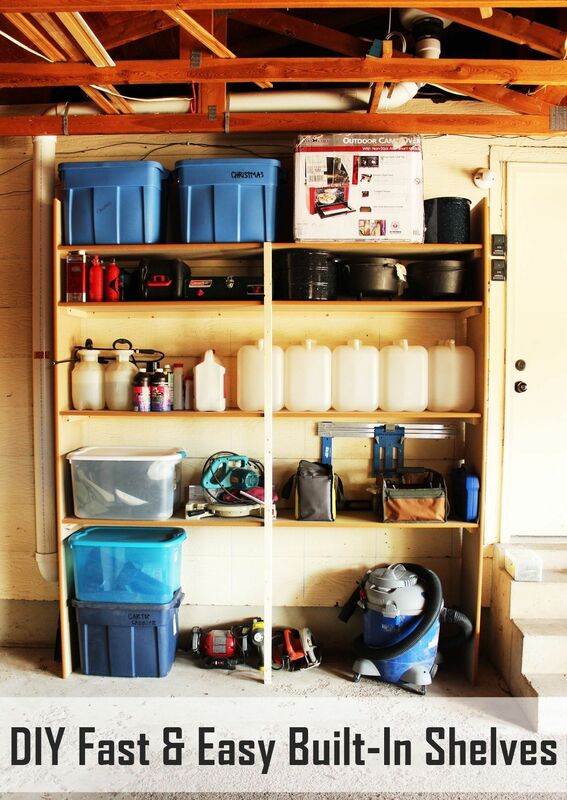 And, because the garage itself can really become a storage nightmare, we showed you how to make the most of this space by making your own sturdy built-in shelves. It’s a bit bigger job than some, but our experienced author lays out each and every step to ensure you’ll have success. The raw and unfinished wood of this unit works well in a garage setting. 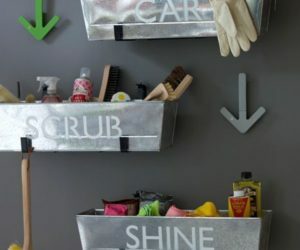 These are a must for every organized garage. Even big projects are less daunting when you have detailed, step-by-step instructions to follow. 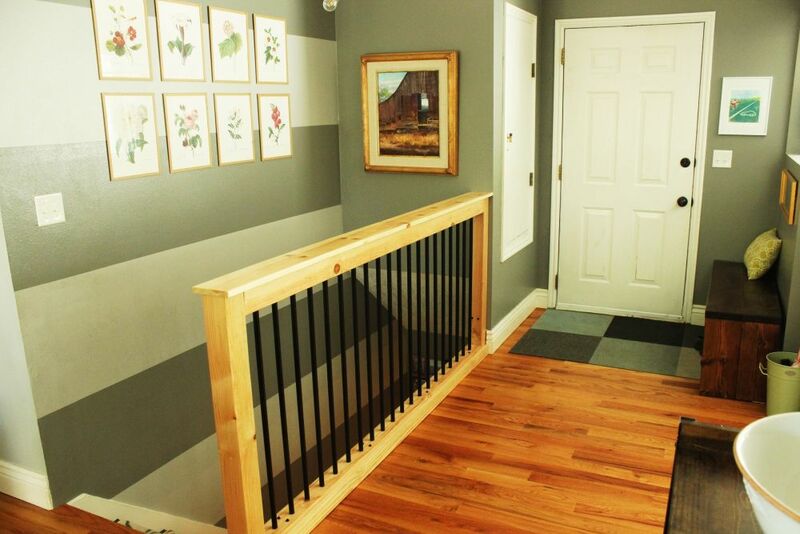 Homedit helped you DIY some important projects like replacing old or dysfunctional stair railing with a new set of stair railing, crafted from wood and industrial pipes. 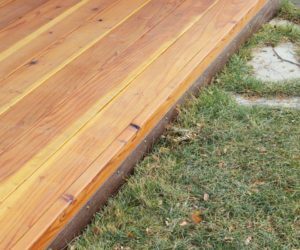 From the planning and measuring to the cutting, assembly and finishing, detailed photos and directions break down the project into easy-to-follow steps. Bigger projects don’t have to be difficult the you have a tutorial. Of course, not all of the projects we present require major carpentry skill. 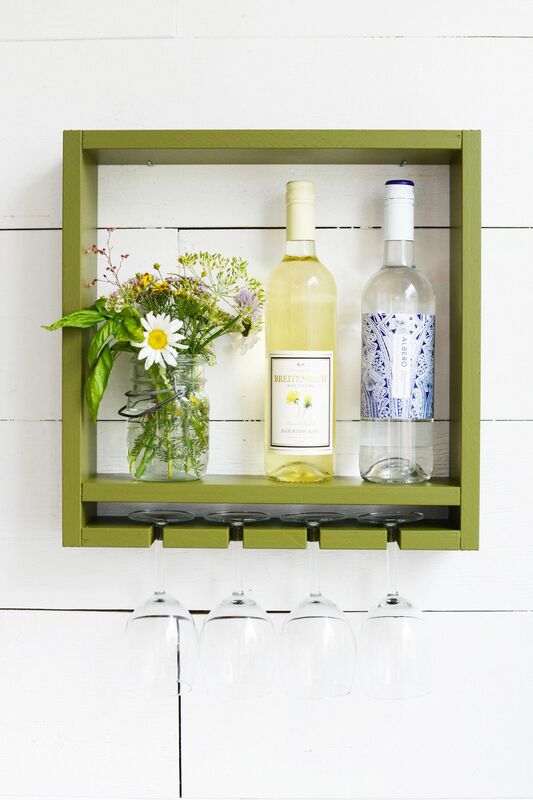 This year we brought you even more small DIYs that are really useful, like this hanging wine rack that lets you highlight a bottle or two and keep wineglasses handy for entertaining. We also showed you how to make your own modern cake stand that’s great for serving desserts or giving as a really special hostess gift. 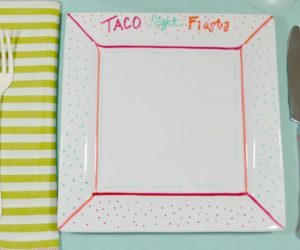 This is an easy and extra cute project for your kitchen or dining area. 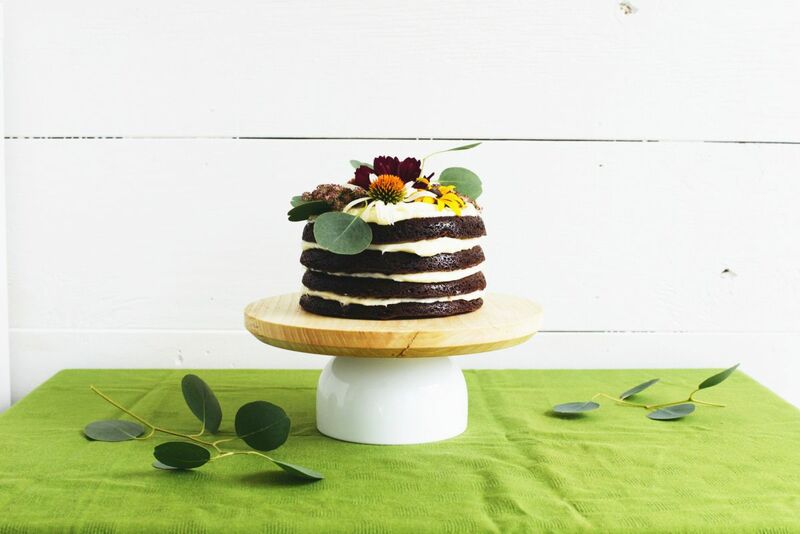 Highlight cakes and other sweets on this DIY modern cake stand. 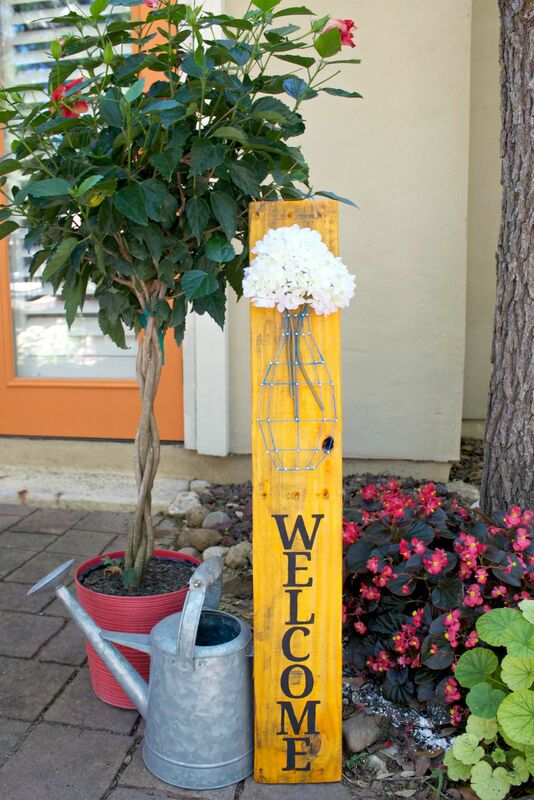 Creating decor items for the home is really fun and Homedit has presented articles on making charming items like this welcome sign from a piece of a wood pallet and nails. String art is trendy and this is an awesome and cheery project for your front door. 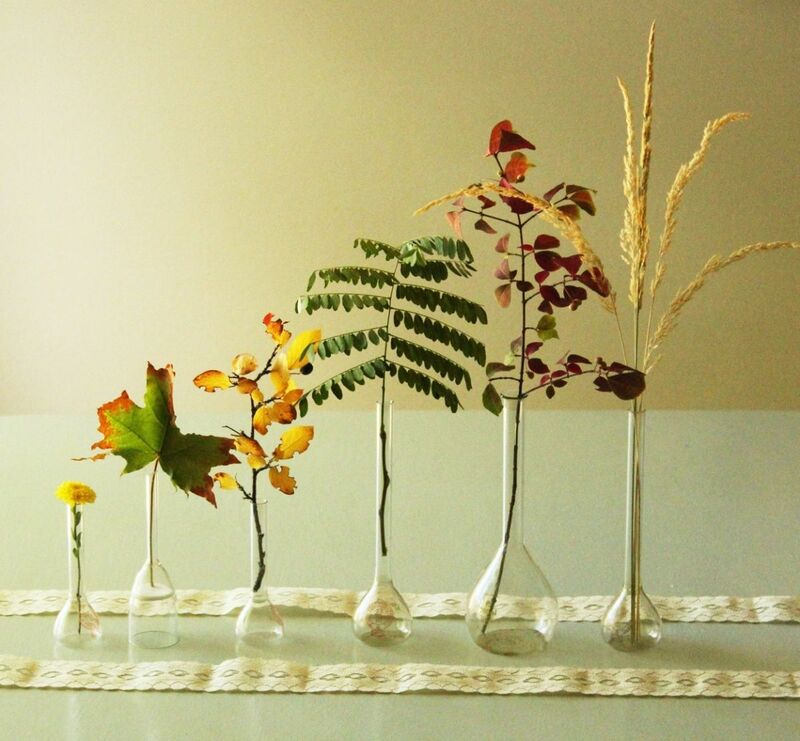 We also showed you how to quickly put together a fall floral or foliage display with a set of vintage beakers used as vases. This welcome sign is fun and easy to make. 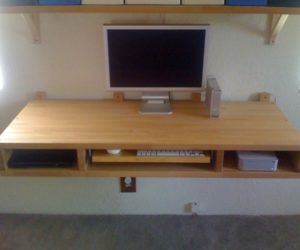 Homedit has lots of quick, easy and budget-conscious DIY projects. We also want to help our readers learn about creating design, appreciating architecture and creating amazing things for themselves. We present tutorials and instructions to help you learn new techniques and skills. from DIY projects to creative decor arrangements and the best methods for house cleaning. 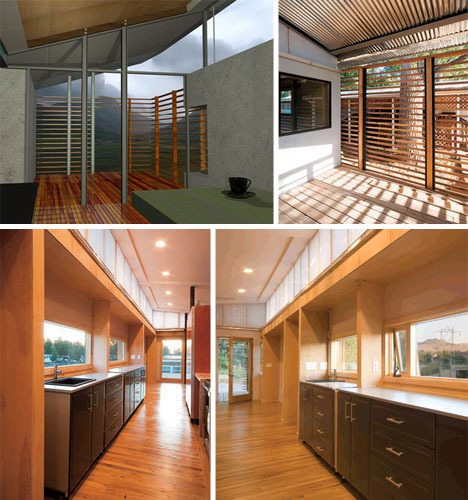 We have lots of information about home maintenance, design concepts and home organization, just to name a few things. Rather than just plop flowers into a plain vase, learn how to make artful flower arrangements with an article that teaches you exactly how to put one together. 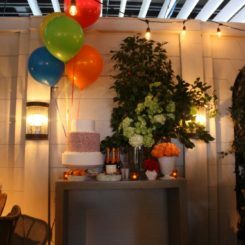 From preparing the foam to adding greenery and flowers, all the steps are covered. 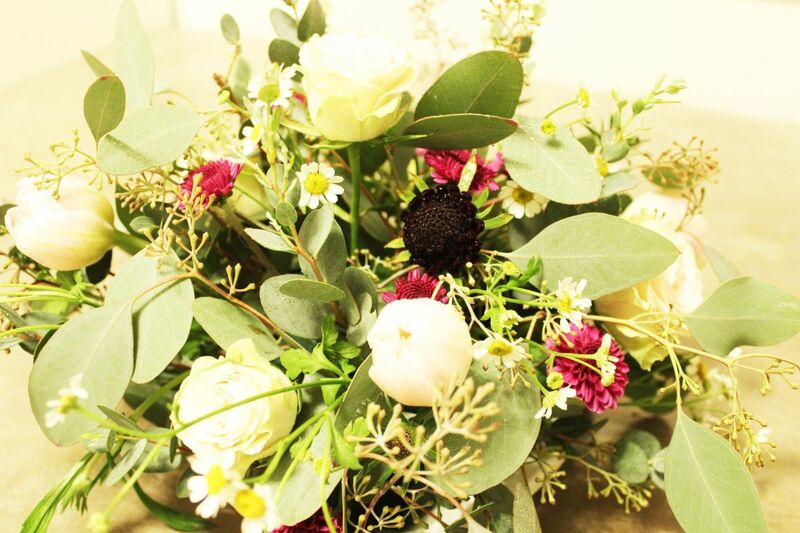 This step-by-step tutorial breaks down the flower bouquet arranging process. You’ll also find posts on how to take care of basic home tasks, such as hanging curtains. It’s important to know not only how to put them up. We explain how curtains can help control the amount of light that comes into a space and that how you hang them can affect privacy as well as style, in addition to light. 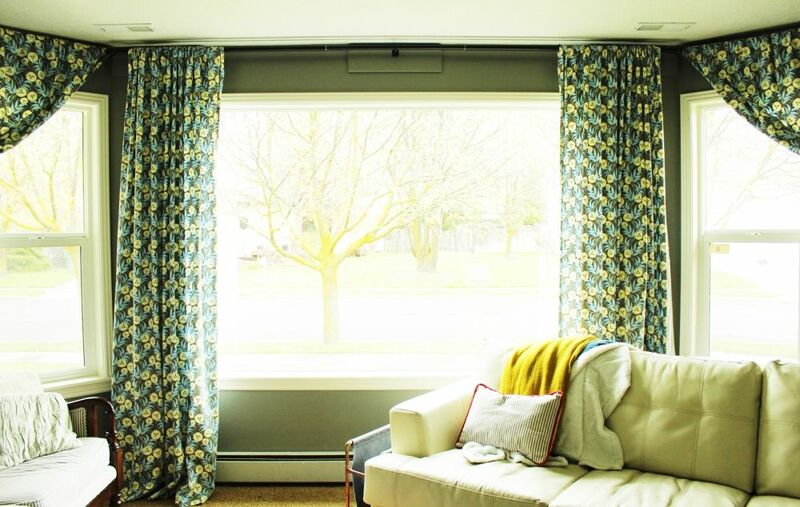 Your ultimate goal of style, maximum light or privacy can affect how you hang curtains. Homedit also helps you tackle the latest DIY crazes. 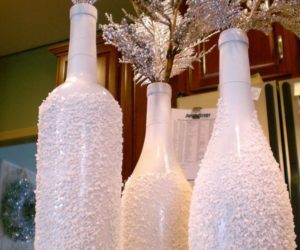 Some of the more popular crafts this year were those that involve cutting glass bottles down into glasses, candle holders, and vases. This is a tricky craft and we surveyed the different methods and brought you an honest assessment of the best way to do it. 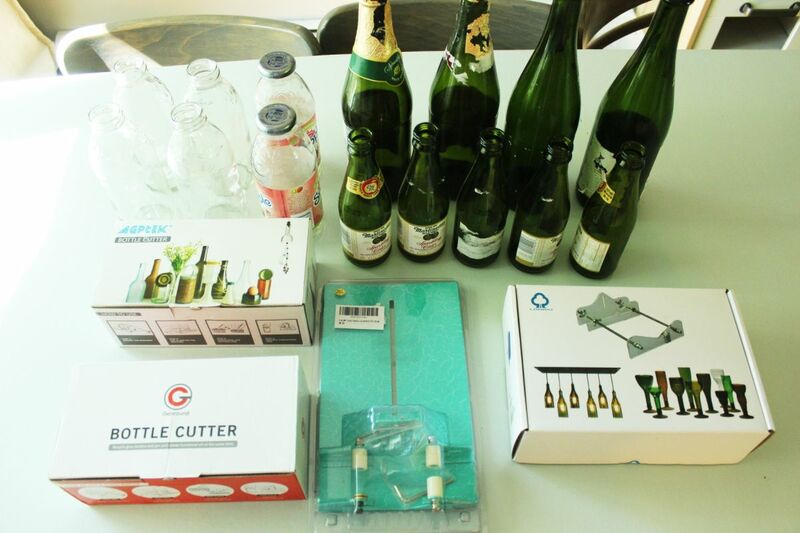 We tried and reviewed four different glass bottle cutter kits. 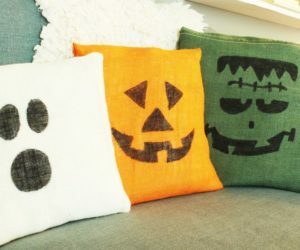 We know that sometimes you might want cool new accessories like pillows, but they can be so darned expensive! 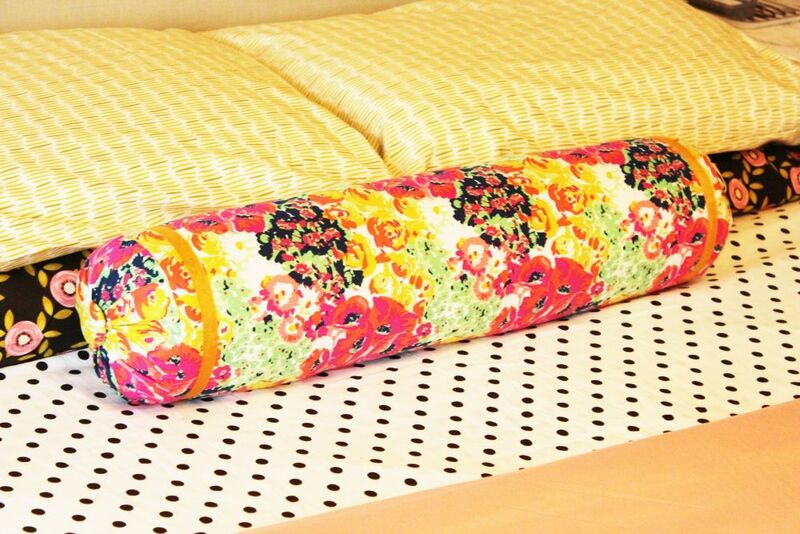 With basic sewing skills and our tutorial, you can make bolster pillows for your bed or sofa that are just like the ones professionally created. It’s easy and affordable to jazz up your decor! The hardest part of making this pillow is the math. Another popular do-it-yourself project is painting furniture, so we help demystify the process by walking you through each step. 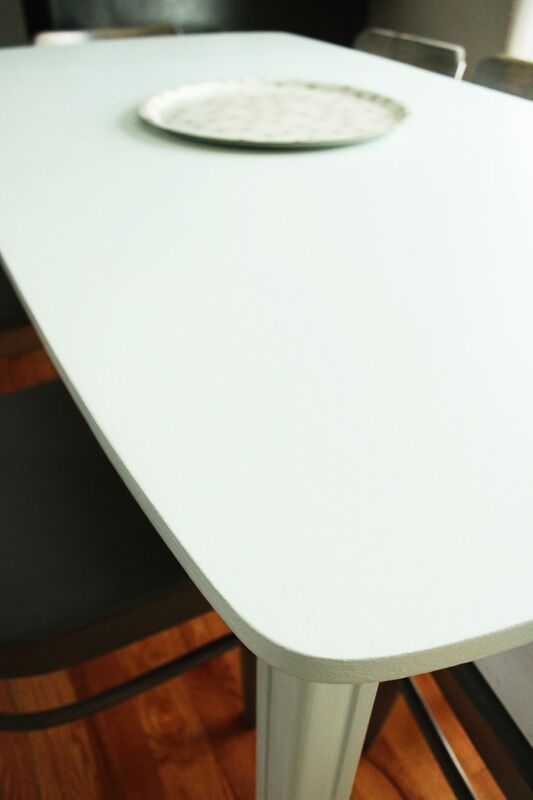 A how-to lesson for prepping, priming, painting and sealing furniture takes all the nerves and guesswork out of painting a gorgeously smooth dining table. Proper finishing eliminates crumb-catching cracks and makes for a wonderfully smooth, sealed surface. 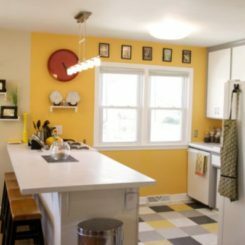 Homedit also want you to help learn about design and architecture styles in general. 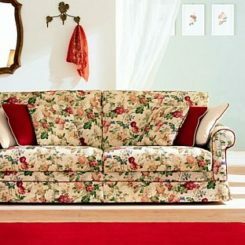 From luxury to rococo to rustic, we help define and explain the characteristics that make up each particular style. 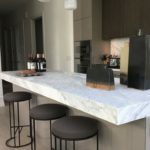 In addition, we look at different types of furniture terminology and what the differences are, such as what a credenza is and what distinguishes it from a buffet or sideboard. 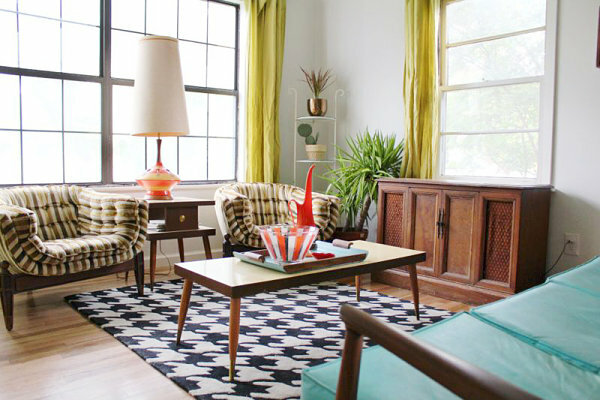 Knowing what defines a style like mid-century modern help you in planning your purchases. A credenza’s original purpose was a place to put food that had to be tested for poison. Weathered wood is just one element of typical rustic decor. Once you’ve decided what style suits you and your family, we offer tips to help you pick the right furnishings, how to arrange them and what accessories might work best. Take a look at your space, like this basement family room, decide how you want to use it and then follow the suggestions for decorating it to fit your specific needs. 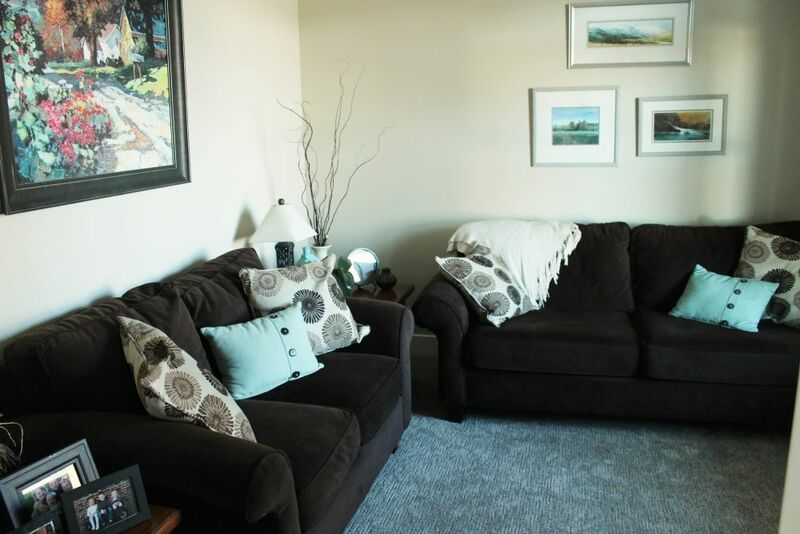 A small family room can still be highly functional if smartly arranged. Making any space work can be a challenge, in particular with today’s open floor plans. Articles about delineating space help readers learn about making the most of a room by delineating areas in a logical way and positioning furniture and other accessories in a manner that facilitates flow through the area. Strategic flooring designs can help define a large and open space. Decorating becomes even more important when it is a critically functional space like the kitchen and Homedit has ideas for that too. There are many ways to decorate a kitchen — no matter what the style — without losing counter space or sacrificing style. 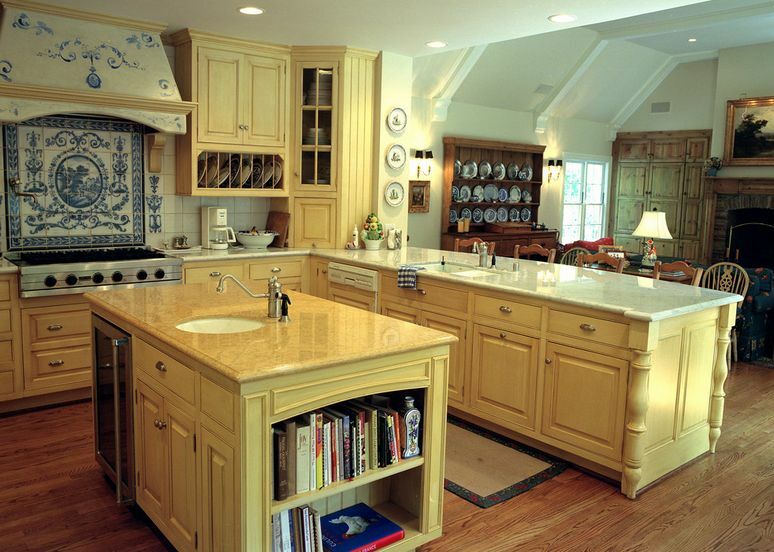 And speaking of style, you can create a kitchen that reflects a particular design genre, such as French country. 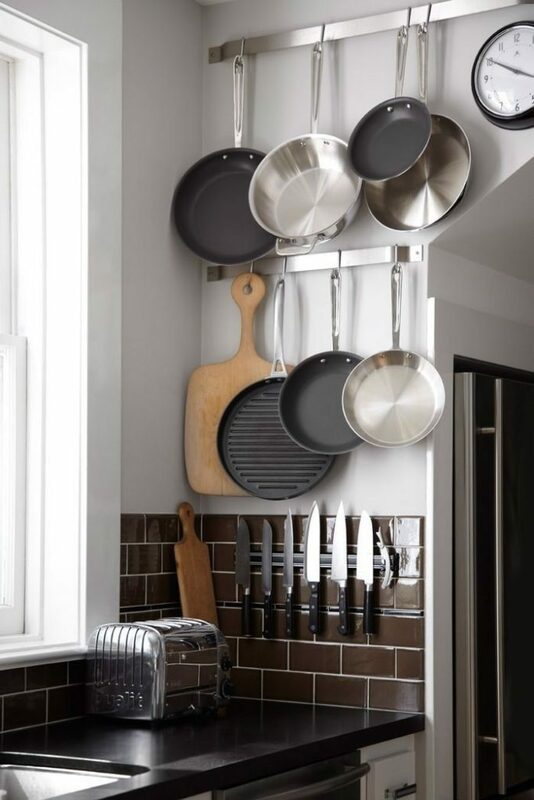 And, really making the most of your kitchen, both functionally and from a style point of view, depends on good organization and we regularly bring you tips and tricks for doing this. Smart organization is tailored to the space available in a kitchen. 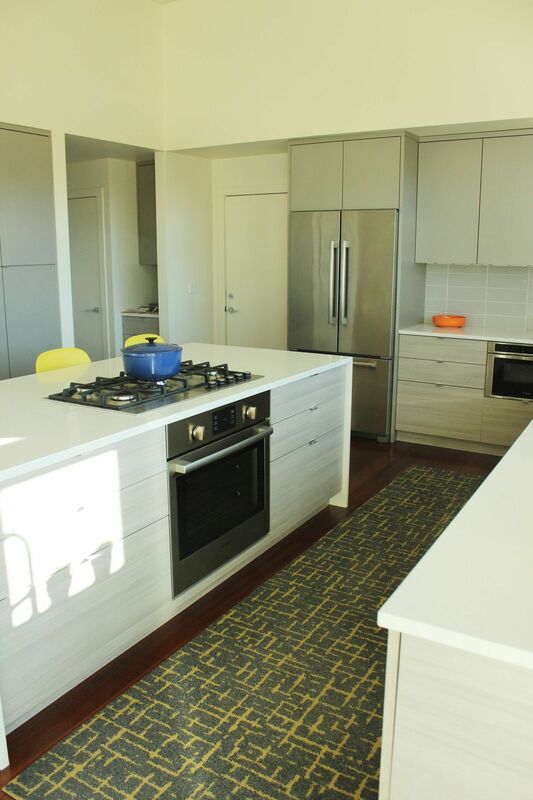 Adding a contemporary runner changes the feel of the kitchen. French country is a popular style for kitchens and has a number of distinctive elements. 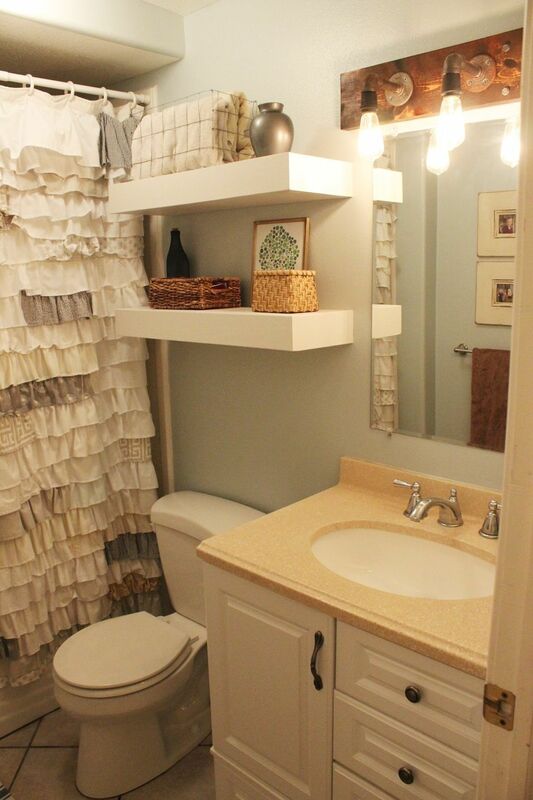 The bathroom is the next most challenging area of the home, especially with regard to decor and clutter. It’s so easy for this space to get cluttered with toiletries and necessities, but Homedit can help identify ways to store things and still incorporate the decor elements that are important to you. 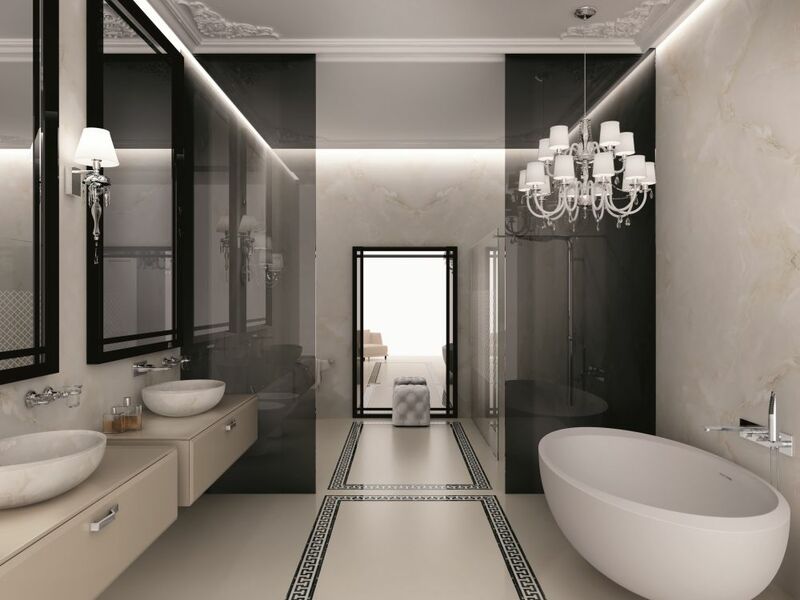 We also show you some of the hottest bathroom trends, like amazing shower designs that have all the bells and whistles to elevate your bathing experience. 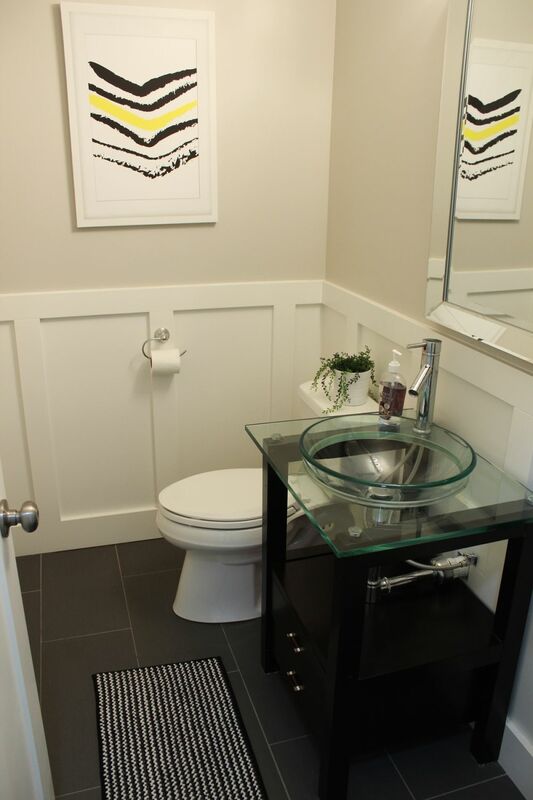 Glass often helps to free up the visual clutter in a smaller space, making this bathroom seem more spacious. 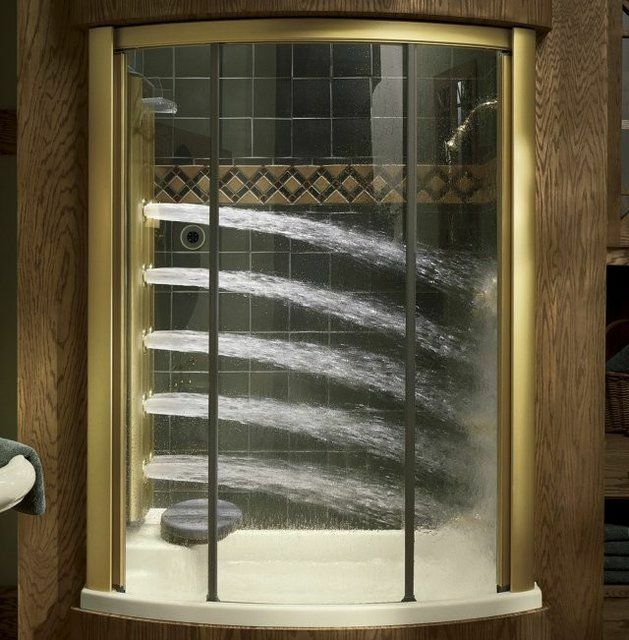 With an amazing shower like this, you’ll never want to get out! After launching Homedit Videos last year, we ramped up the number of DIY videos on the site this year to inspire you and to help you create some home projects of your own. 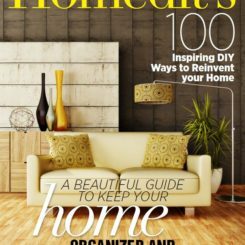 From the latest kitchen hacks and general life-easing tips to DIY crafts and essential home home maintenance, we’ve got them all. Little problems around the house can add up to a big list but these handy little tricks can help you deal with issues from a wobbly table leg to a screw that won’t stay in a hole. DIY some easy organizational tools for around the house like this accordion drawer organizer. Whether it’s for taming the mess in your drawer of undies or sorting out the kids’ socks, this simple organizer can be a godsend. Not all the projects we brought you were just about repairs and organization. 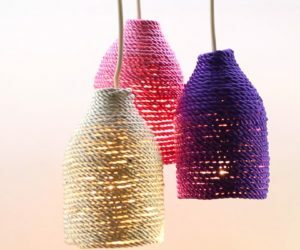 Using our new videos you can create your own stylish decor items like these hanging pendants made from plastic bottles, an easy rolling coffee table made from store-bought crates and a simple bottle centerpiece for your table. 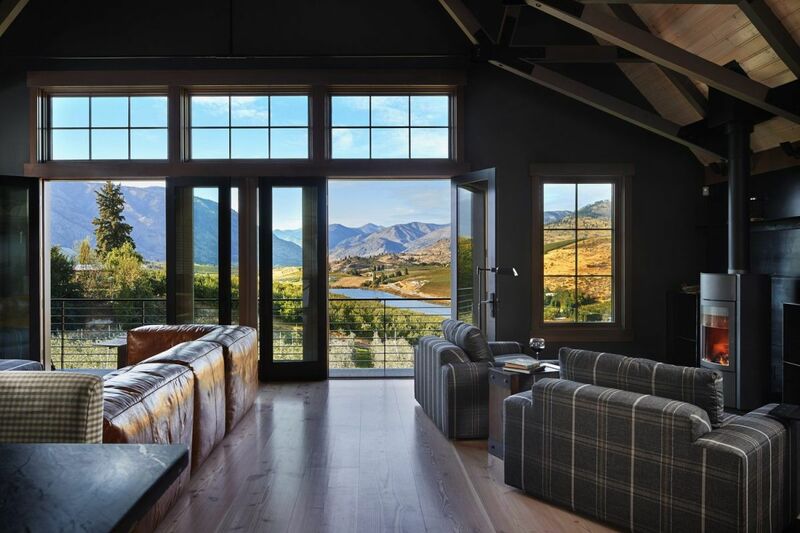 One of the things we love most is taking a peek into homes and apartments across the world that feature gorgeous designs, ingenious new features and killer views. Even if you’re not in the market for a new home, they are such fun to look at, especially as inspiration for things you can do in your own space. 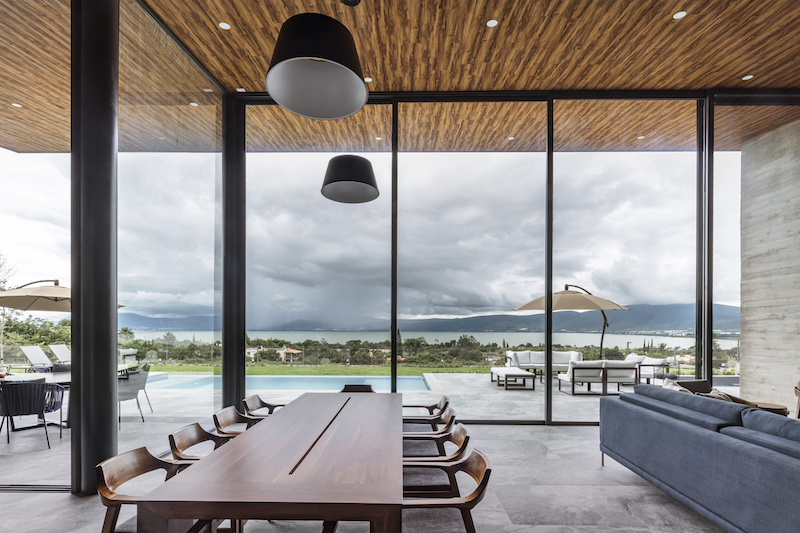 So many cool homes have features we love, including this lakeside home, a spectacular gambrel barn home with mountain views and a modern apartment in Taiwan that features muted colors. 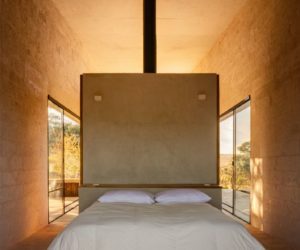 It’s especially fun to look at amazing dream homes that we all wish were our own, including 25 of the most beautiful homes in California. 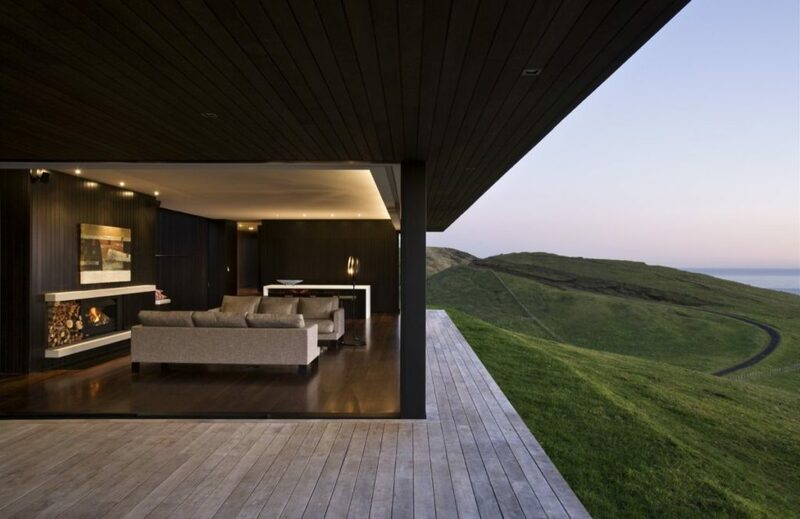 Stunning architecture and amazing locations add up to homes we can dream about. 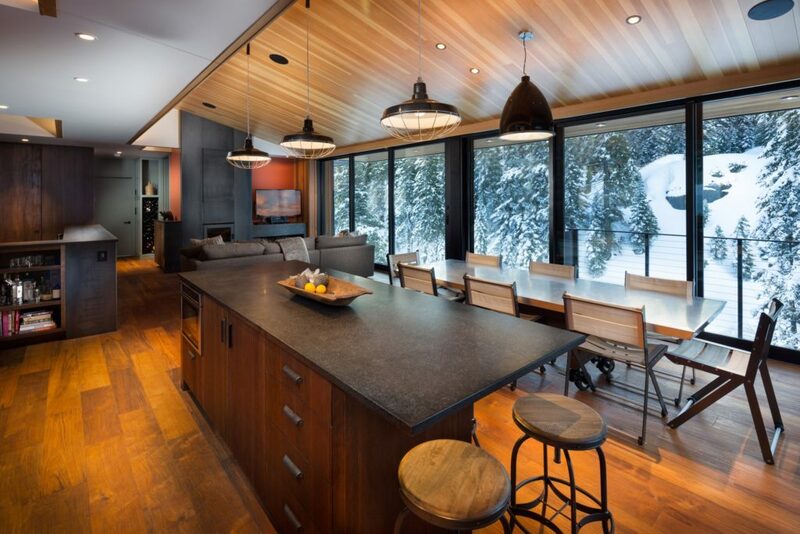 California homes range from beachside retreats to luxurious mountain hide-aways like this. Taking full advantage of a lakeside location is important. 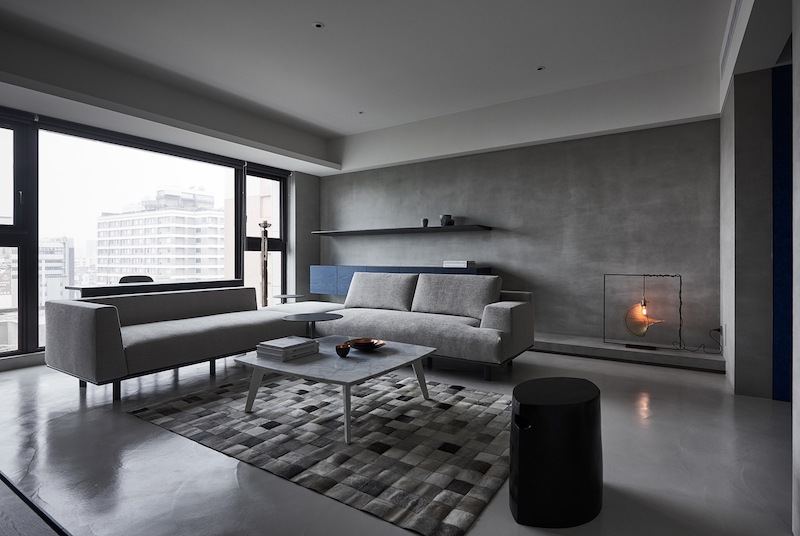 Chic, muted colors make this a serene, minimalist apartment. Of course, some of us like experience the great outdoors and amazing views but don’t want to wait until we strike it rich to buy one of those amazing dream homes. 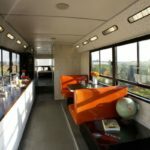 So, we also showed you some innovative ways to do that, including by using small camper trailers that provide enough creature comforts without breaking the bank. Small campers like this one are affordable and definitely portable! Thanks for making our 9th year a fantastic one, full of creativity, artful expression and amazing design. You are the reason we scour the globe for new ideas and inspiration — it’s all meant to help you discover, learn and create in your own unique style. As they say, life is too short for bad design!